Is your closet teeming with single-purpose clothing? You got wool slacks for fancy, jeans for chilling and sweatpants for, um, sweating. Before you know it, you have a ton of barely-used clothes maxing out both closet and credit card. What if there were clothes that looked and fit great and were ready for whatever you were up to? 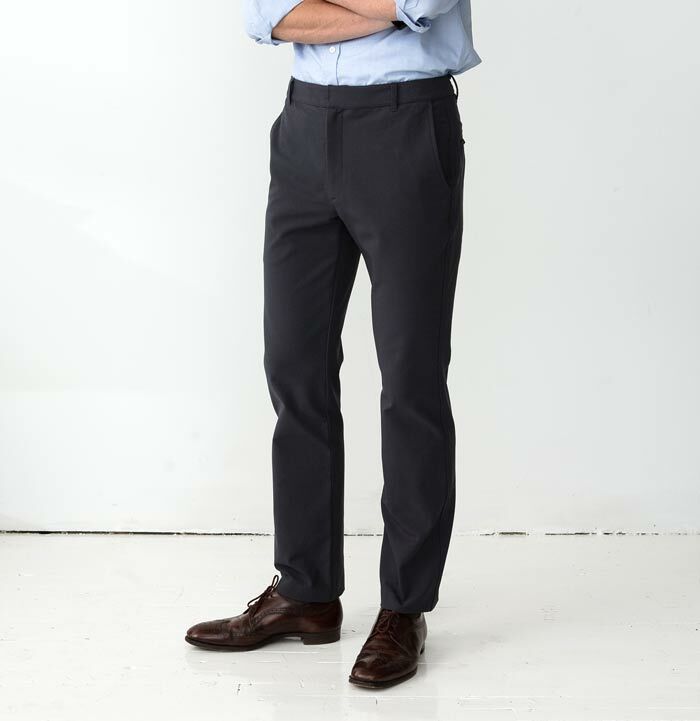 These pants from Outlier Tailored Performance are a great example of such a beast (available for boys and girls). Their tailored cut makes them suitable for formal affairs, while their technical fabric make them great for riding your bike, climbing and other activities that shouldn’t be done in pants this styling. They also feature a self-cleaning NanoSphere treatment, which makes them impervious to spilt coffee and slightly-too-long intervals between washings. We’ve been wearing them for a couple years and they look like new despite their many travels through boardrooms and countless miles logged on our bikes. They show that a few sophisticated, well-made, multi-functional items can save money and replace piles of single-purpose, closet fodder. You didn’t actually list the name of the pants so how are we to know which ones you are referring to? this particular model is the 4 season OG. http://shop.outlier.cc/shop/retail/4season-og-pant.html. the “climbers” are similar construction though a bit slimmer cut and lighter weight fabric.